PERFECT FOR SOMEONE WITH A MOTOR COACH, ELECTRIC, WELL AND SEPTIC Owner has used as private Florida retreat for years but has sold motor home. Terrific piece of property on approximately 22 acres including part of a lake! 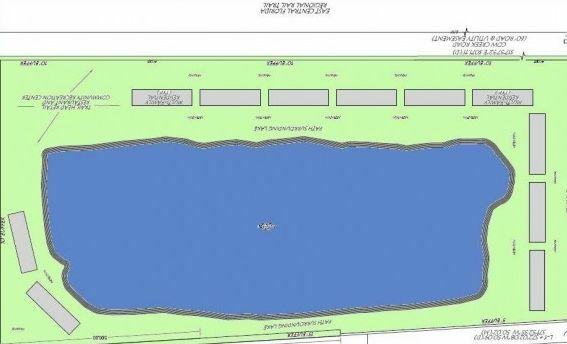 Lake is approximately 12.48+/- acres. 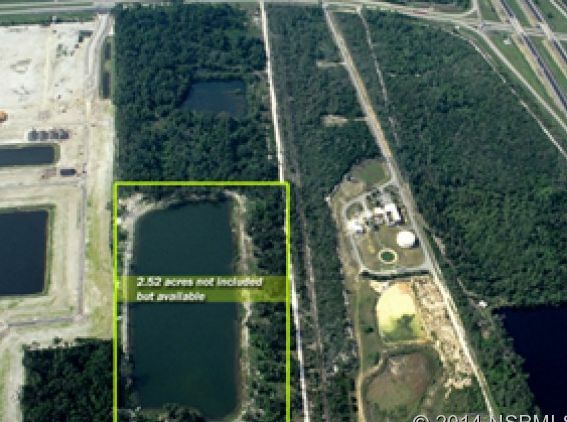 Great development opportunity and zoned agricultural. Survey and area photos available see attached documents. 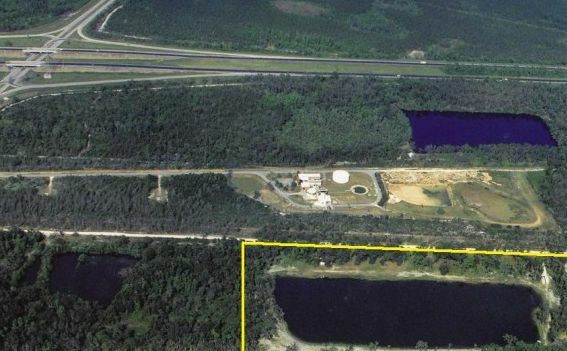 There is a shell road leading to this property located just off the I-95 interchange on 442 leading into Edgewater. The state and county have recently approved acreage just to the west of this site for massive development, with homes, shopping, recreation, etc. The property is adjacent to the Rails to Trails path. Excellent opportunity to acquire land that could have many uses such as homes RV park, etc. Beautiful lake serves as a centerpiece for this property. Currently there is only one home located on this section of the road and the road dead ends at this home. Easy exit and entrance to I-95, 4 lane highway from property to shopping and US 1. 20 minutes to Daytona and easy drive to the beach in New Smyrna Beach. Property is mostly cleared with wonderful large oaks scattered throughout this impressive acreage. The property is also in the center of the next growth area for both the city and the county. Surveys of the property and aerials are available along with information provided by both the City of Edgewater, Volusia County, and Department of Transportation. Adjacent landowners have expressed interest in being considered for inclusion in any plans for development. Property is in city of Edgewater, retains County Ag zoning, future city land use MU. Includes 1531 Cow Creek Road.